Tim Brodigan was park namesake Joey O’Donnell’s closest childhood friend, and continues to be an ardent supporter, gathering the most donations and winning the top spot for the Walk. 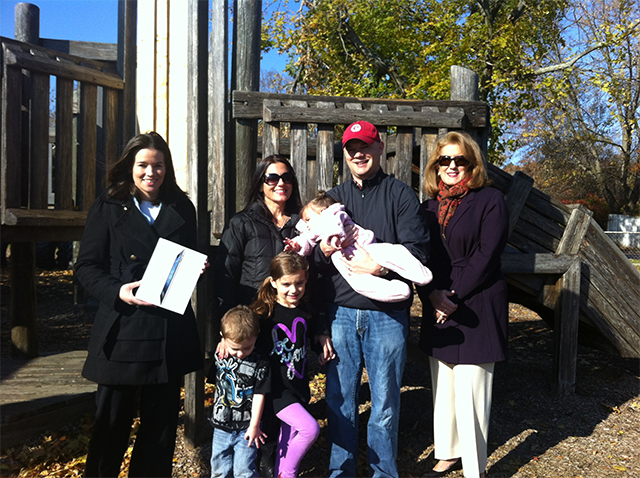 Here are our friends at Belmont Savings Bank presenting the Brodigan family with the top Walk prize – a brand new iPad! The Brodigan kids sent crayon-colored cards to family and friends requesting donations. Would you say no to these kids? Of course not. Everyone said yes — and the Brodigan’s raised a whopping $3,355!